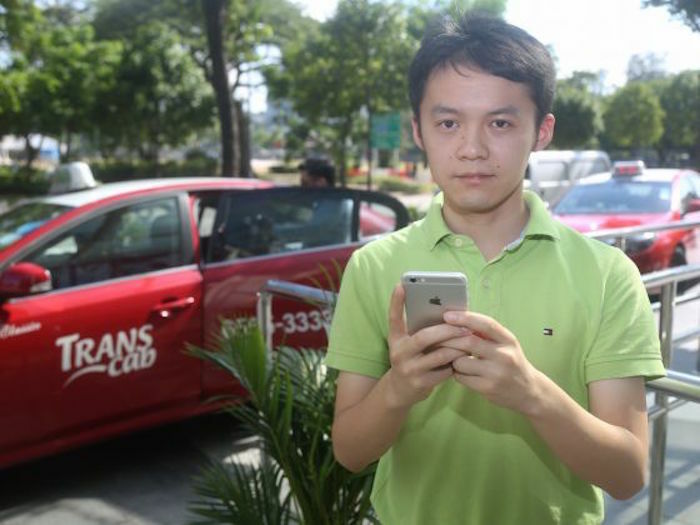 New Taxi App PAIR Taxi Lets You Share Taxi Rides In CBD Area — But Will It Work? UPDATE: PAIR Taxi will launch officially on November 5, Thursday, and will be available in the evening from the taxi stands at International Plaza and Capitol Tower in the Tanjong Pagar area. 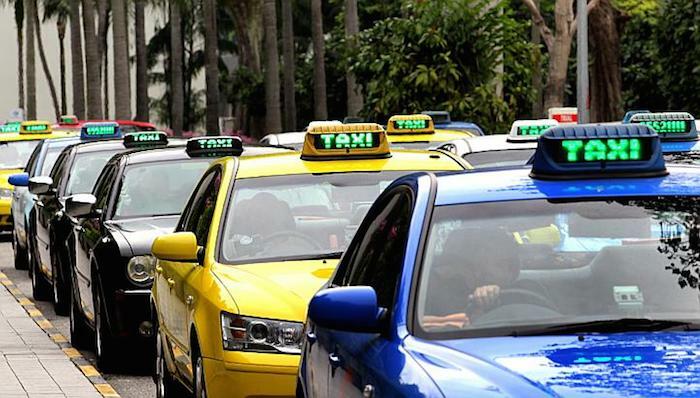 Getting a cab might no longer be a problem for some of us, thanks to a slew of taxi booking apps such as GrabTaxi, ComfortDelGro’s taxi booking app, as well as Uber. But clean energy startup Aspiring Citizens CleanTech is not confident that this problem has been fully addressed. They’ve decided that taxi booking apps might not be that effective in helping commuters flag down taxis, especially those who work in the Central Business District area — long queues are not an uncommon sight at CBD taxi stands during peak hour. Thus, they are launching their own taxi booking app — and it seems to be a pretty sophisticated one. The free app, called PAIR Taxi, will make sharing a taxi possible in the CBD area during peak hours. While the app has not officially been launched yet, PAIR Taxi will allow you to select a pick up point from 20 taxi stands in the CBD, according to TODAY. Once you have entered the pick up and drop off locations, PAIR Taxi will assign a taxi to pick you up. The only difference this has from the usual taxi is that you will be sharing the taxi with a maximum of three passengers who are heading in the same direction. All passengers will have to board from the same taxi stand as yourself. Once you are dropped off at your location, your fare will be split with the other passengers based on your drop off location. PAIR Taxi will be available for download within the next two to three months, with an expected 300 taxis joining the app. However, the success of the app will depend entirely on whether passengers are willing to share rides with strangers — this might be a bigger concern for female passengers. And given that there are already passengers who ask each other if they want to share rides during peak hours, the number of passengers who take to PAIR Taxi might be relatively small. Other than security concerns, there is also the “mindshare” issue which PAIR Taxi will have to address. When one talks about taxi bookings, the brands that come to mind are GrabTaxi, ComfortDelGro, or UberTAXI — all of which aren’t lacking in taxi drivers currently. There’re also private car services like GrabCar and UberX. Finally, there’s the issue of PAIR Taxi’s payment system. All passengers have to agree on the fare split upon arriving at their location, which could be a potential problem depending on who you meet. If all these issues are addressed, I don’t see why PAIR Taxi can’t succeed as a final backup plan to get a ride out of the busy CBD area. Hopefully, it doesn’t end up with the same fate as Network Uncle, the taxi booking app launched earlier this year which never took off.